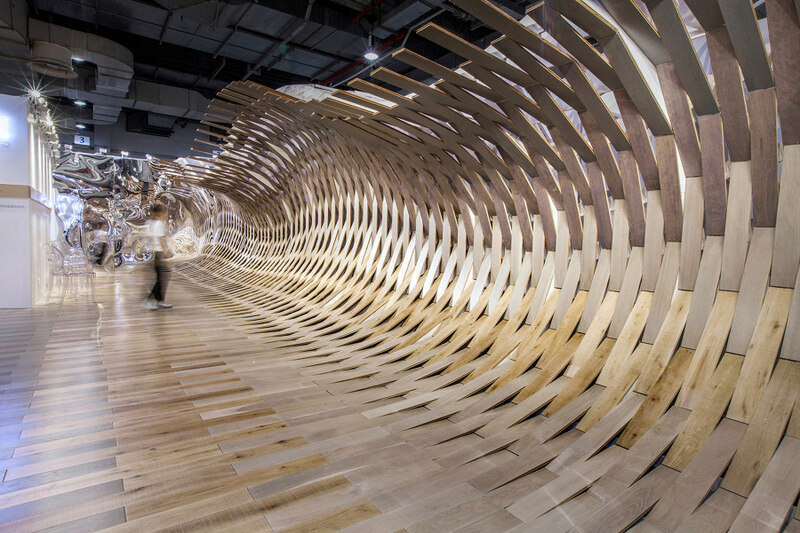 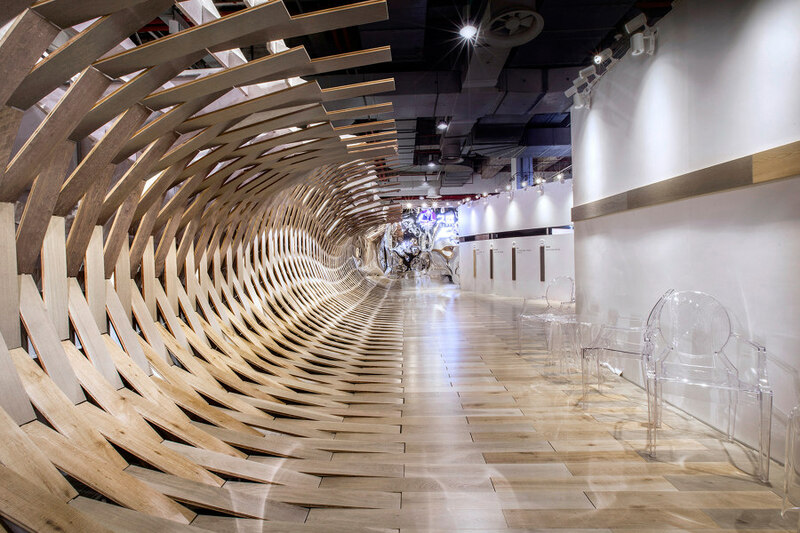 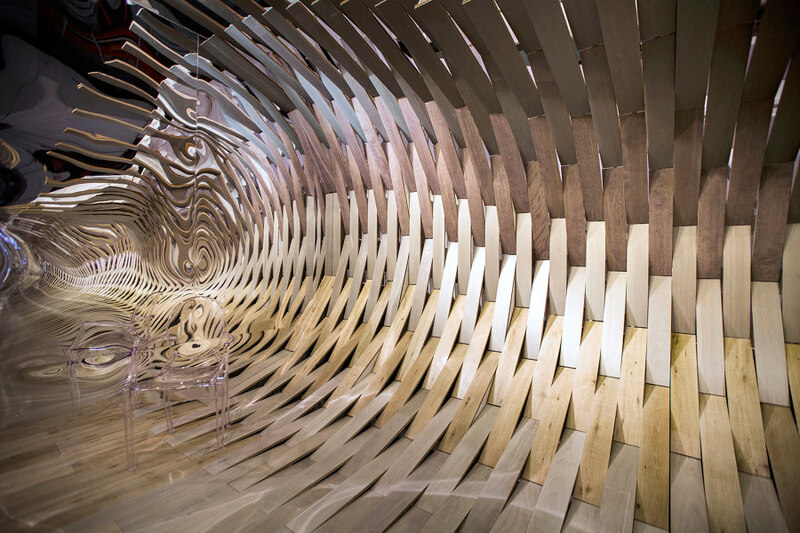 Wood floors whip up a surge, creating spectacular sensory illusions by TOWOdesign | Temporary..
TOWOdesign further extended the aesthetic effect of water, drew inspirations from ever-changing water flow patterns and built a visually striking sculpture. 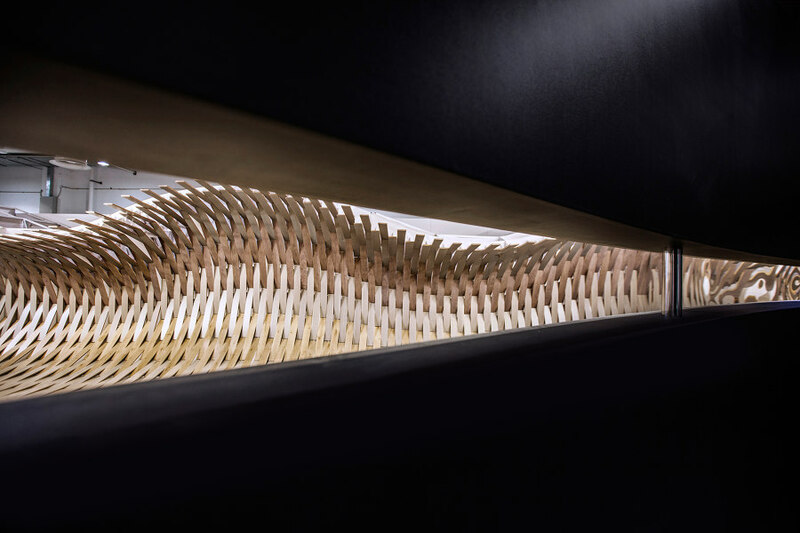 Every piece of wood was given a flowing form and at the same time maintained the static texture. 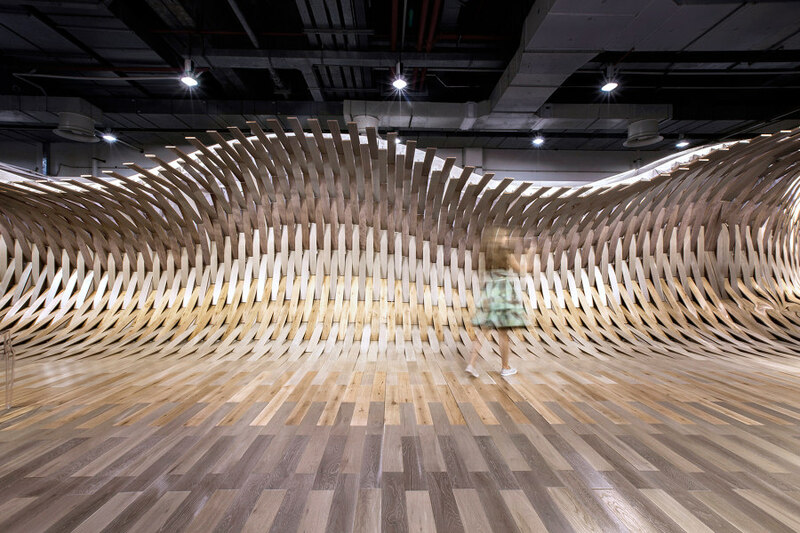 An undulant wooden-color “surge” spans across one side of the showroom, as if it is lifted up from the ground by whirlwind. 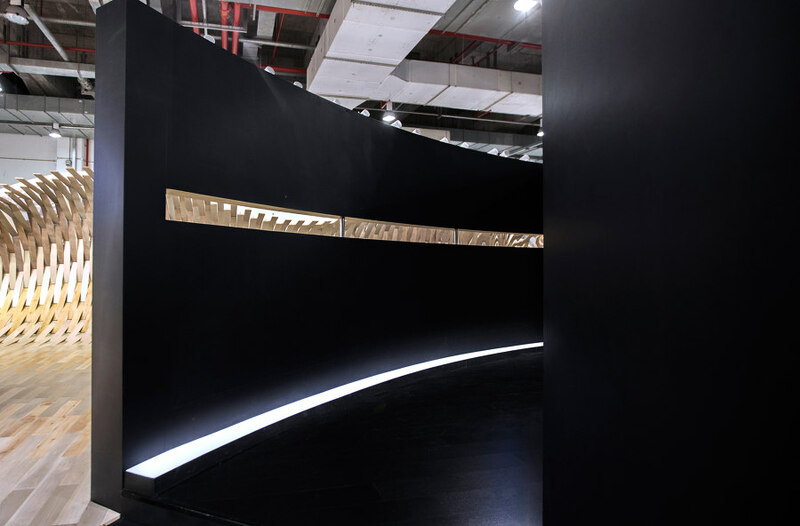 For the back of the installation, the frame is constructed by means of parameteriation design. 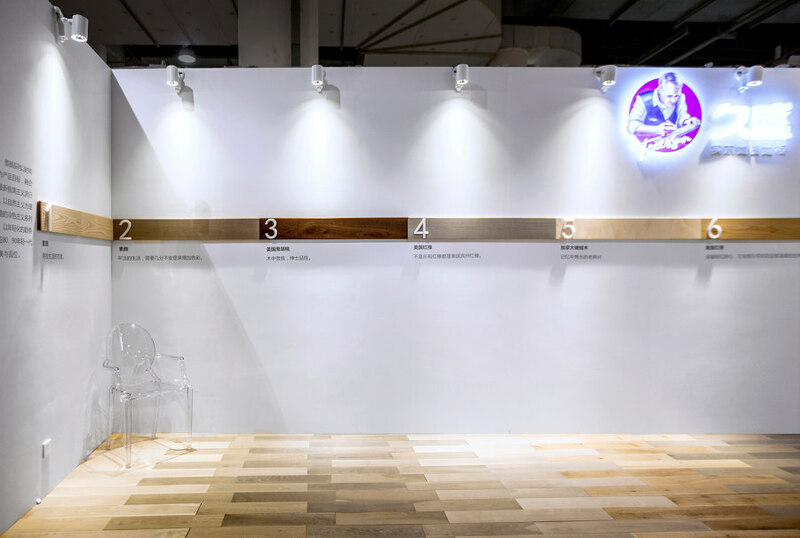 Different wood flooring exhibits are spliced and overlapped according to the shades of color, providing a view of rippling water waves and gradient colors. 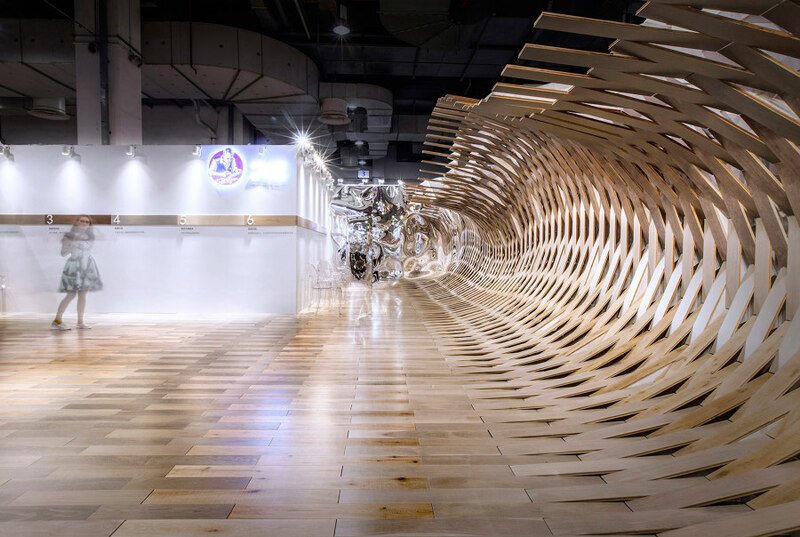 Mirrors at both longitudinal sides of the installation stretches the “water wave” and expands the limited showroom space by inflection, creating a dreamy and fantasy atmosphere. 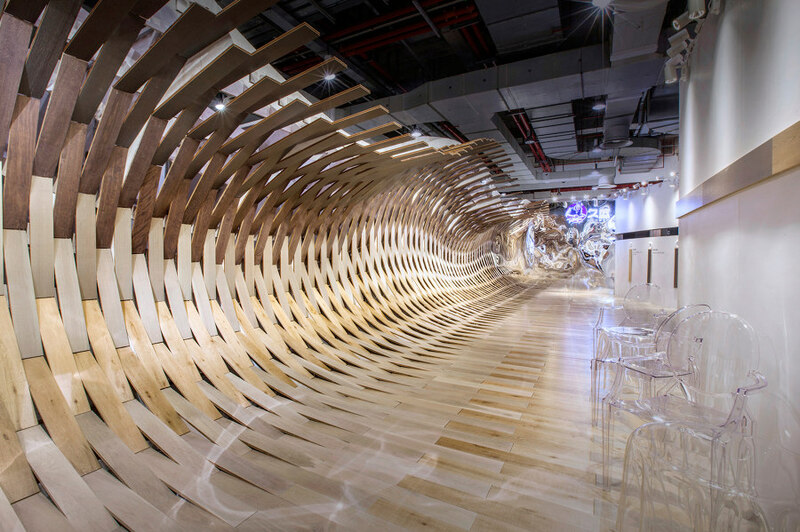 The showroom expressed spatial implications with wooden elements. 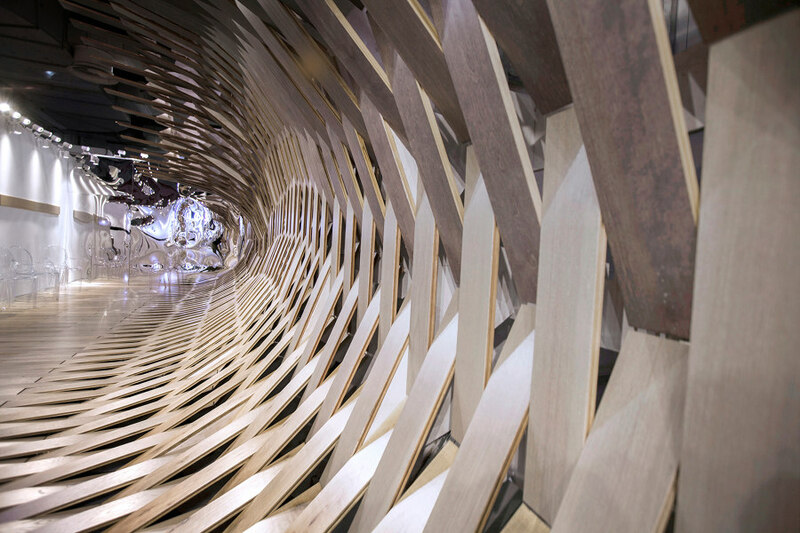 If you look closely you can feel the ingenuity in details, while view from a distance you can feel the beauty of the whole design, all of which reflected TREESSUN’s concept of creating quality life with environment-friendly wood flooring and witnessed TOWOdesign’s innovative practice on remodeling brand communication through immersive art and spatial language.